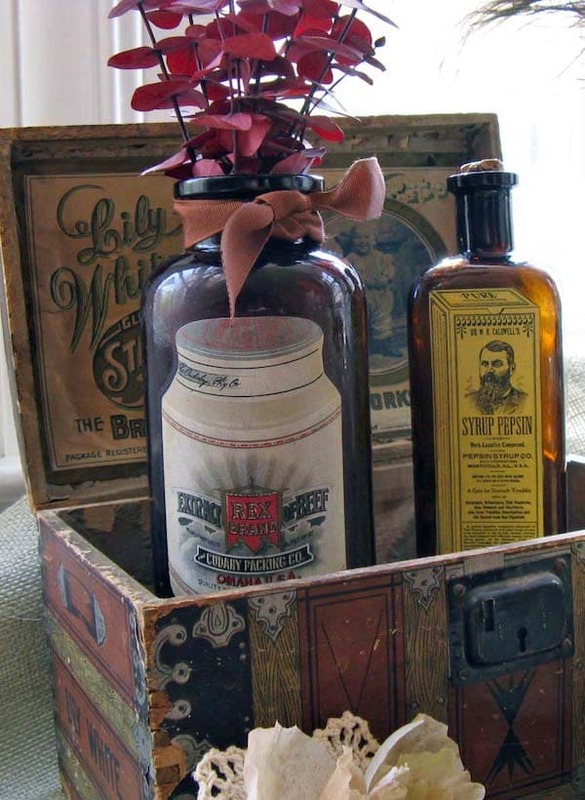 Learn how to make DIY vintage bottles for your home decor! 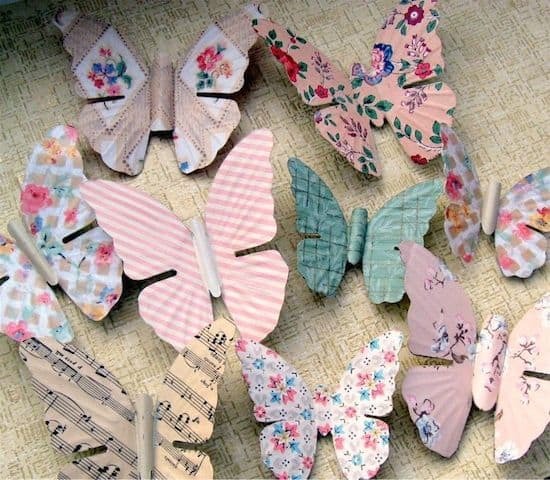 You can get the look in minutes with Mod Podge – this shows you how. Great budget friendly craft. I'd like to welcome Mitzi from Mitzi's Collectibles to Mod Podge Rocks with a beautiful way to decorate bottles with vintage labels! Do you remember her Anthropologie inspired mirror? 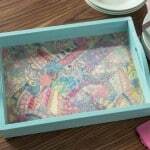 You do know Mitzi is great with Mod Podge, so I'll let her take it away with another fabulous project idea. Hello, Mitzi Curi here from Mitzi's Collectibles, your guest blogger today. 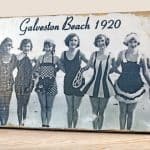 I'm an antique dealer and crafter who loves to use vintage materials to create new treasures, “upcycling” antiques so that they can be appreciated within our modern lifestyle. Today I'm going to decorate some bottles and jars with Mod Podge! 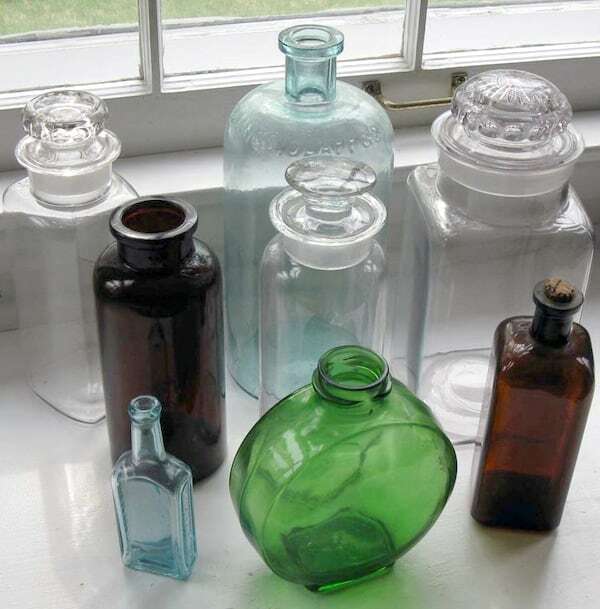 Now that spring is upon us, it's inevitable that we will come across some old bottles and jars during our spring cleaning. 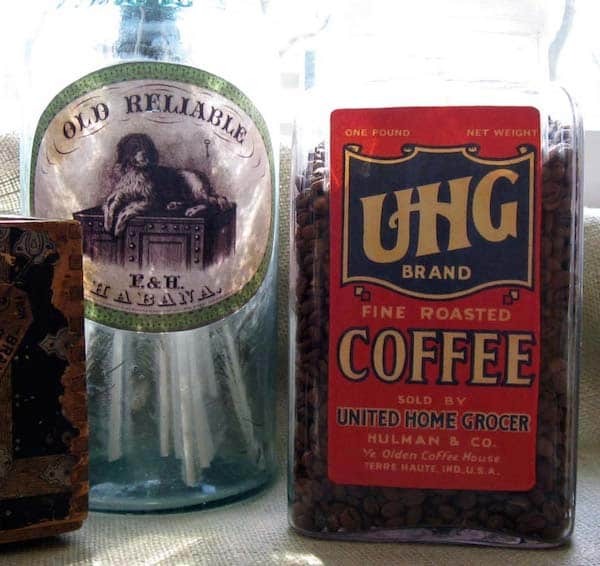 Perhaps you have some old bottles in your house, garage, or basement. I happen to have an extensive collection of paper ephemera, including old labels, but for this project I selected several from The Graphics Fairy, a blog that provides a new graphic image every day for readers to download and use in their art. I just clicked on “Advertising” and “Labels” categories in the sidebar and found several great examples for this project. To ensure that your graphic images won't smear when they get the Mod Podge treatment, they must be copied with a color laser printer. Or if an ink jet printer is used, sprayed with a fixative that you can buy at any craft or art supply store. Before Mod Podging, I aged the printed labels with some Tim Holtz Distress Ink in “linen,” especially around the edges. This way, you won't see bright white edges around your labels, and thus your finished project will look more authentic. 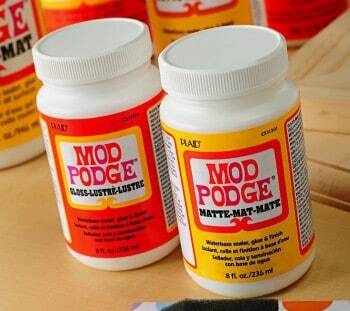 To decorate the bottles, use the foam brush to thoroughly but thinly coat the back of the paper label with Mod Podge. Position the label on your bottle and smooth out from the center to the edges with your fingers or a brayer (I always end up using both). Next, put a thin coat of Mod Podge over the image. Take a wet paper towel and clean up the glass around the image. 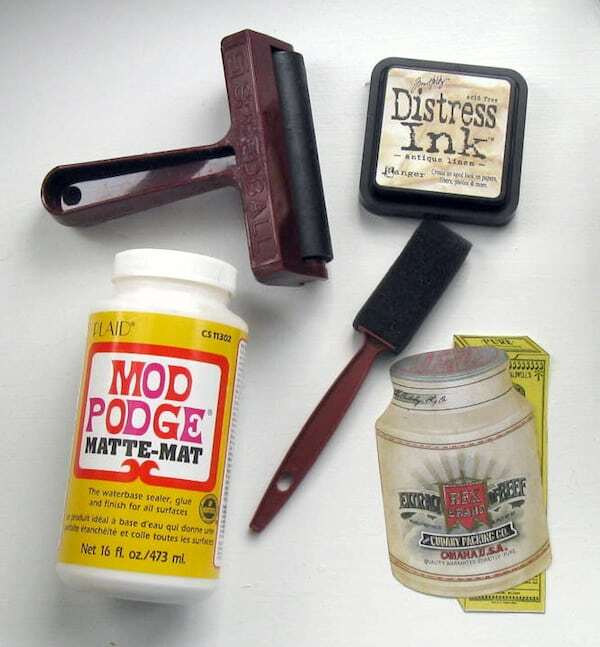 This extra Mod Podge can also be removed when dry by using a razor blade or X-Acto knife. I tried to select items to put in my jars that would compliment them. I chose peacock feathers for the large apothecary jar, coffee beans for the jar with the coffee label, and spools of thread for two of my other jars. I added a little ribbon here and there on my vintage bottles for extra embellishment. 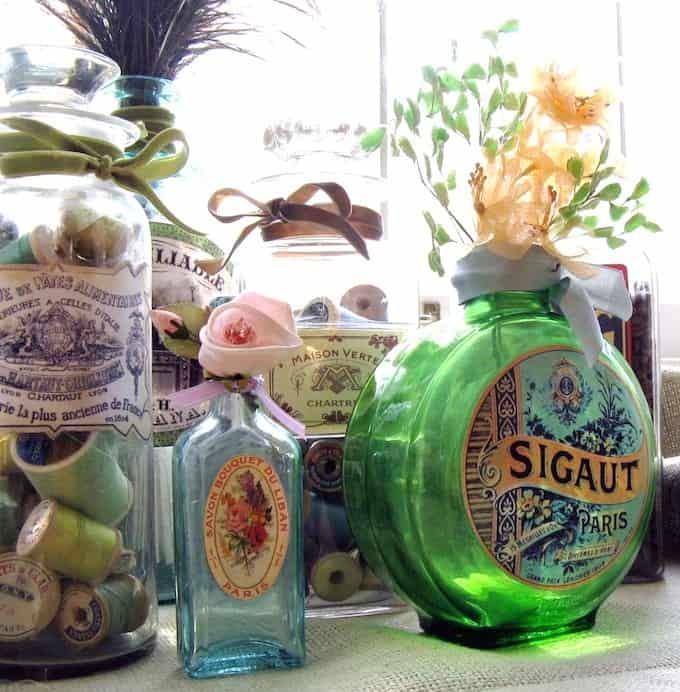 I hope you will try to make vintage bottles this spring. 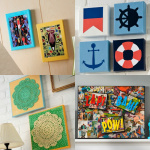 You'll be recycling some bottles and appreciating beautiful vintage graphics at the same time, all thanks to Mod Podge! Very cool bottle art! I press flowers and do this too. I will have to try your method as well Thanks for sharing! These are very pretty and I love the added embellishments! Very cute! 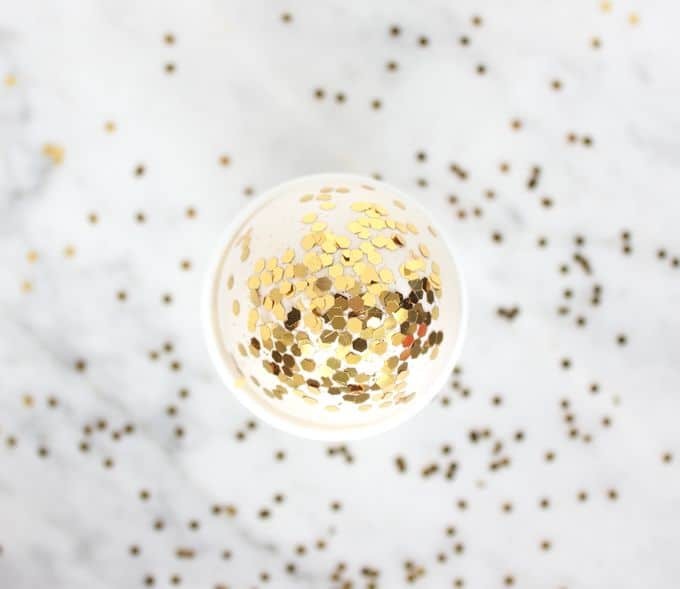 What a great idea and way to add some cute style to a plain bottle! Thanks for sharing this, Amy! Awesome project! I LOVE what you did with the bottles. The lables you chose add to the vintage look. Stunning! I adore Mitzi and her projects are always so beautiful!! These are gorgeous! Looks like I have another item on my thrift store list! Love the bottles! Beautiful job!!! Love all of these. They’re gorgeous! I recently used Mod Podge for the first time (shocking, I know), for a kids project I posted on my blog. I watched your videos and got all the advice I needed so everything went smoothly. Thank you, thank you!